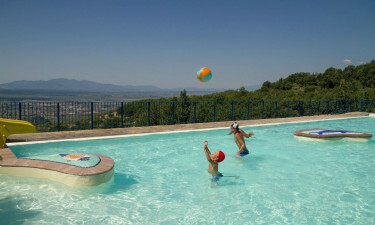 Barco Reale Campsite is a leading LUX-camp that can be found in the heart of the countryside in Tuscany. This picturesque site is surrounded by a lush pine forest with a large number of impressive hiking trails running through, while people who book a mobile home at Barco Reale Campsite will find everything they need right at their fingertips to enjoy the camping holiday of a lifetime. The stunning onsite swimming pool is set against a background of beautiful Tuscan hills and sun worshippers will really be in there element here. The two large connecting pools feature an infinity edge and guests will also be able to spend time soaking up the sun on the sun loungers that surround the pools to work on their tan. In addition to a vibrant children’s play area, the staff at Barco Reale Campsite have put together a programme of activities that are aimed at keeping children of all ages amused and entertained throughout the day and on into the evening. 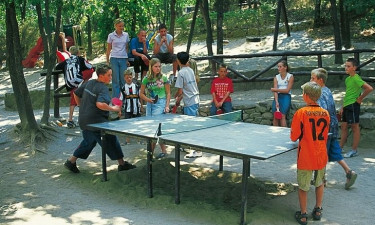 Even kids who are not particularly active will still be able to have fun here as the luxury camping site boasts an area where video games can be played, while internet access is also available here. This part of the country boasts a number of impressive cycling tours that are just waiting to be explored by people who like to be active while they are away. People who book a mobile home at Barco Reale Campsite will also find that bicycles are available to rent on the site, while there are also special guided tours available that take guests deep into the enchanting Tuscan countryside so that they do not miss the highlights of this area. 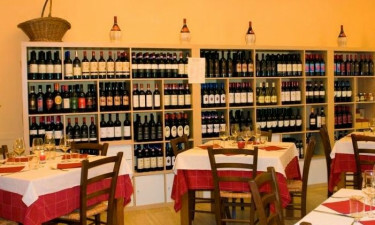 After a busy day of cycling, hiking or simply lounging by the pool, guests will want to indulge in a traditional Italian meal at the onsite restaurant. This decadent restaurant boasts an enchanting patio area where guests can sample some of the signature flavours of Tuscan cuisine while soaking up the scenery. People who are looking for lighter bites will also find a snack bar on the site, while people of all ages will want to indulge in a sweet treat from the ice cream parlour. Of course, guests will also be able to prepare their own food if they want and most facilities come complete with cooking areas. 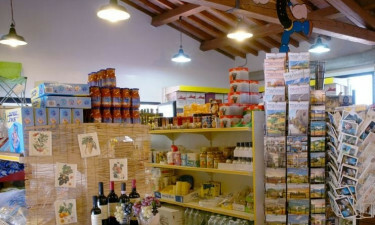 Those who are in search of ingredients to create delicious meals for the whole family will find what they need at the onsite supermarket, while a good range of ready made meals as well as fresh local produce are also available to choose from here.